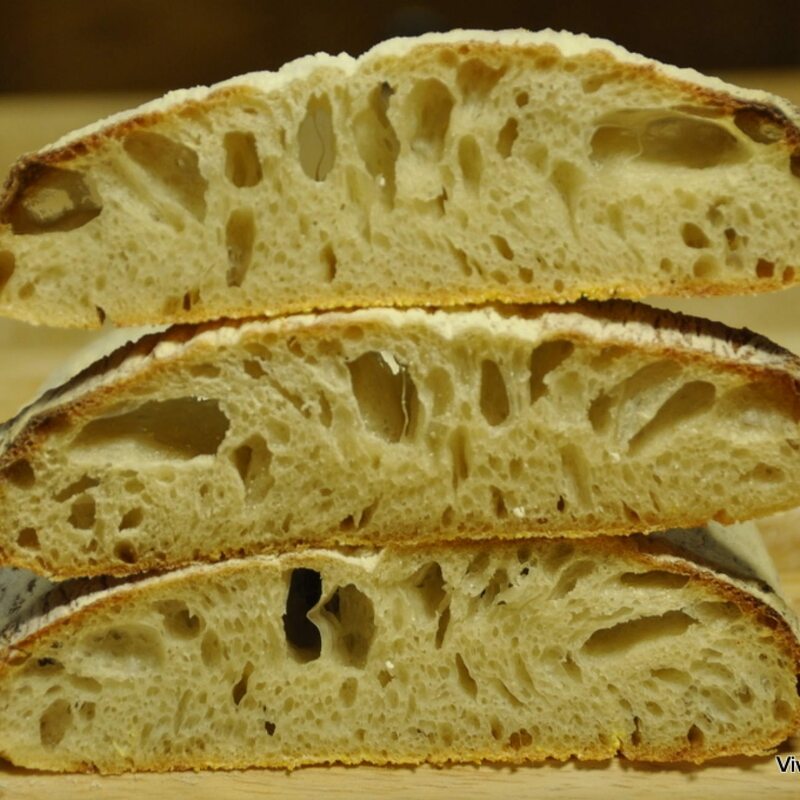 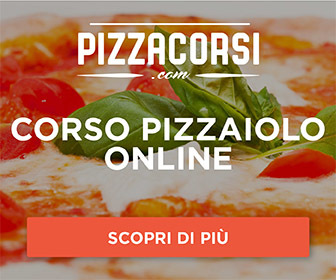 Many people ask me how to make a bread with a good alveolation / large air bubbles (sarei restìa a usare questo termine perché l’ho trovato in pochissimi siti…) First of all it is important to understand the leavening process, which I have purposely written about in this article. The key lies is making a very moist dough (lots of water), using stronger flours and allowing plenty of time for leavening. 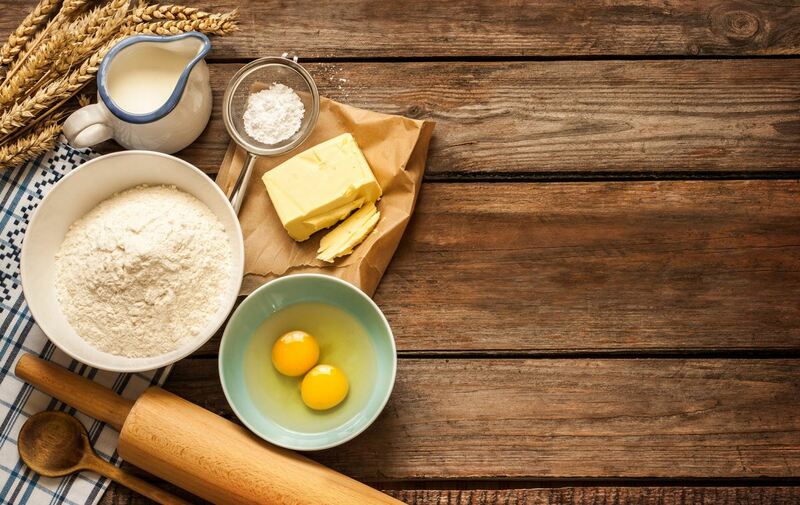 Stronger flour is essential for two main reasons: for starters, it easily absorbs larger quantities of water, secondly the higher gluten content creates a sort of “cage” which traps the carbon dioxide produced during leavening. 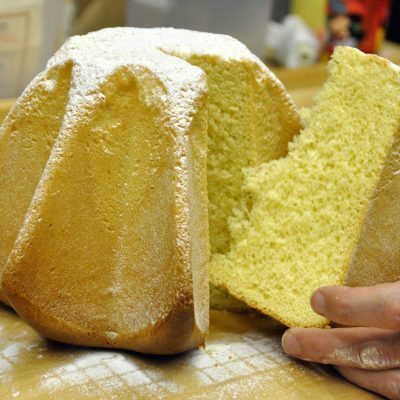 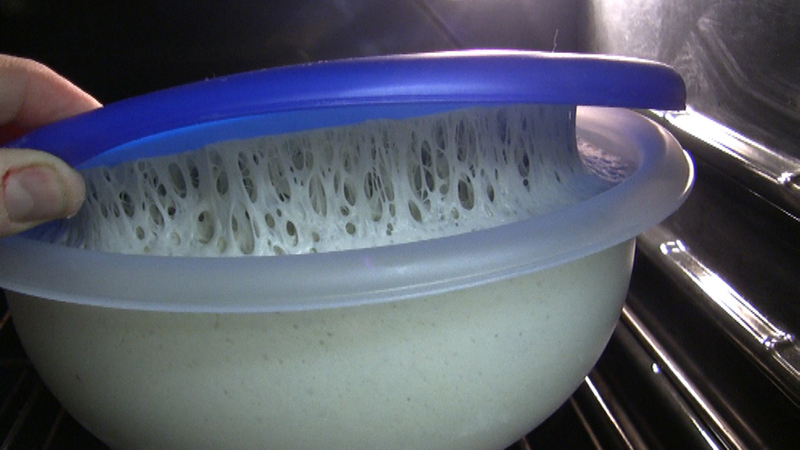 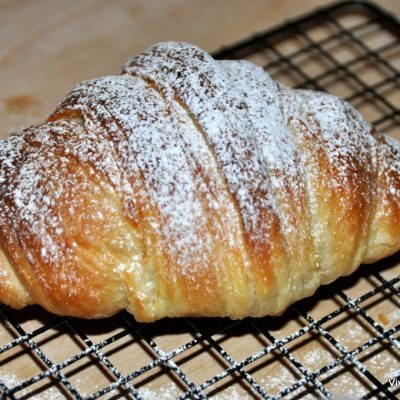 The carbon dioxide expands when baking and creates larger air pockets/bubbles. 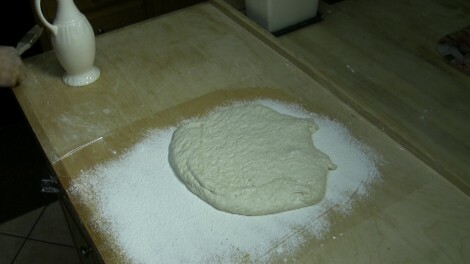 Let the dough rise until it doubles in size, or even a little longer. This will take 2 to 3 hours, depending on the temperature. 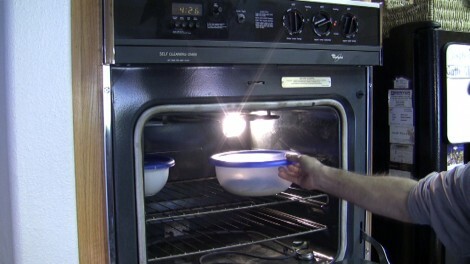 I let mine rise in my oven which was off, but I left the light on, which keeps the temperature at about 30°C. In this case my dough more than doubled and stuck to the lid. Watch how the gluten “cage” is nicely developed. This kind of dough is very moist and is very difficult to handle. 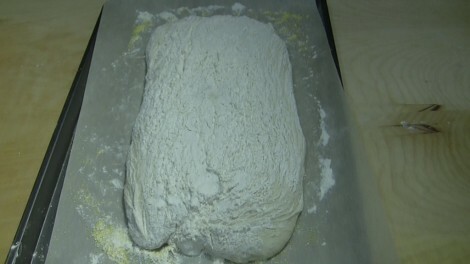 Following this technique, we can shape the bread without directly touching it. 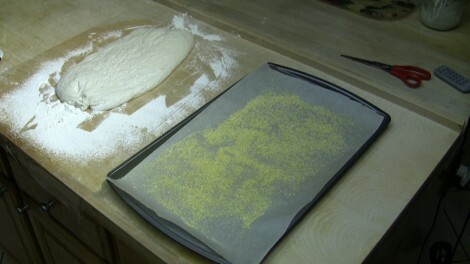 You can split it in two if you wish to make two smaller breads, in this case you have to prepare two separate pieces of plastic wrap. 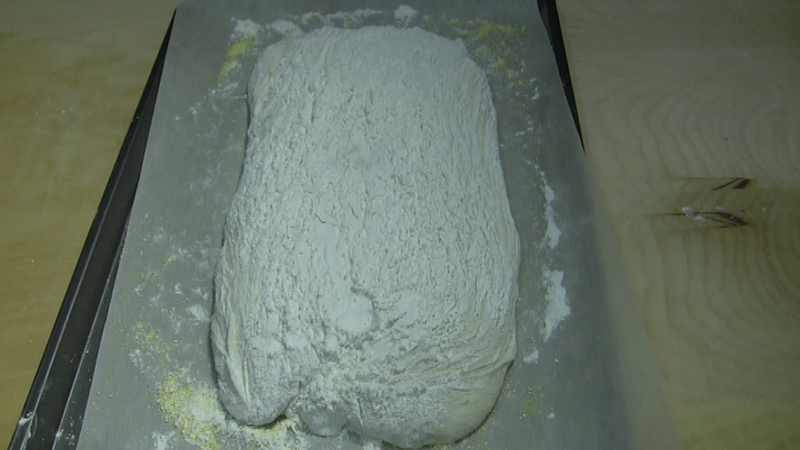 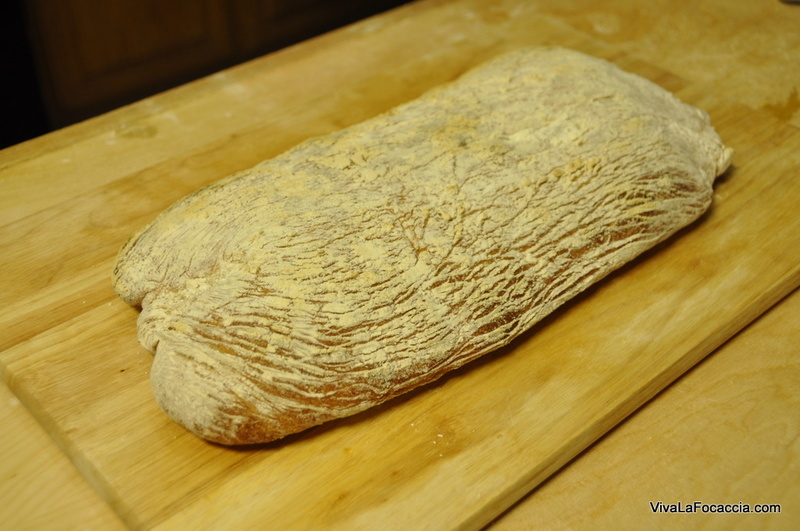 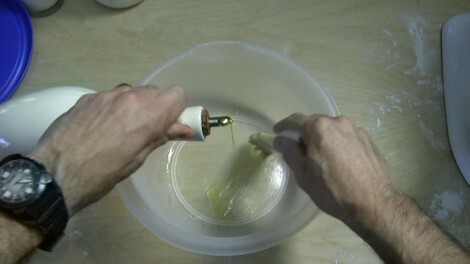 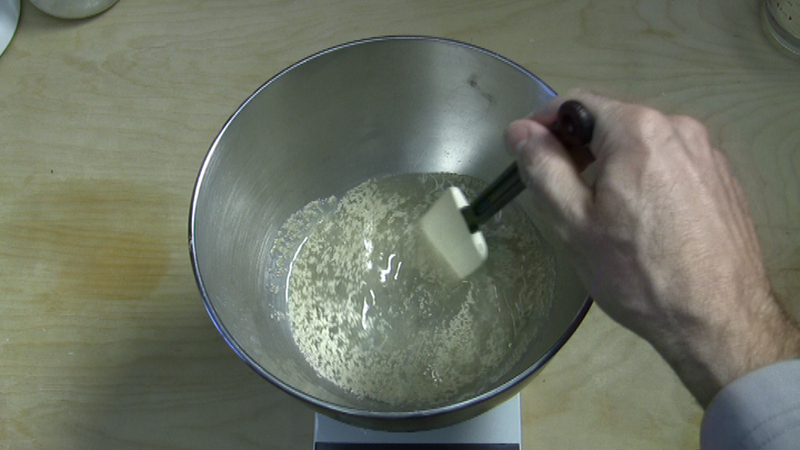 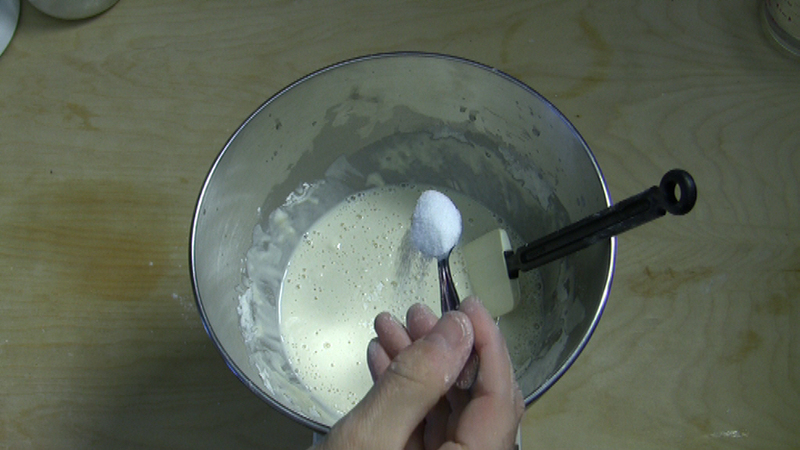 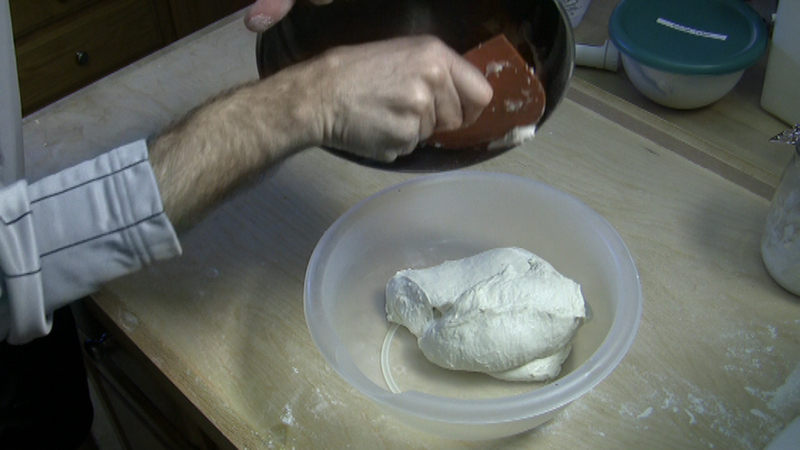 Using a well greased spatula (so that it doesn’t stick to the dough), shape dough into a loaf without folding it. 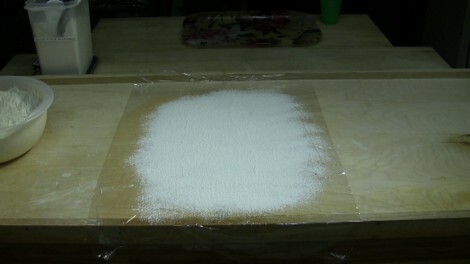 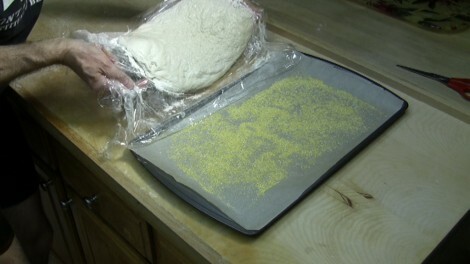 Line a baking sheet with parchment paper and scatter some corn flour on top. 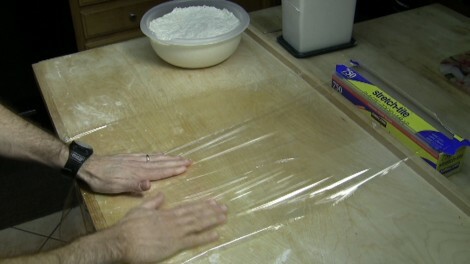 This will keep the dough slightly lifted from the sheet so it will bake better. This is essential for two reasons: first of all it creates the typical streaks on the surface, also it redistributes the air bubbles inside. Pre heat oven to 2240°C and sprinkle some water inside to raise the humidity. This, added to the pot of water, will stop the bread from forming a crust right away, otherwise the bread wouldn’t rise properly during baking. 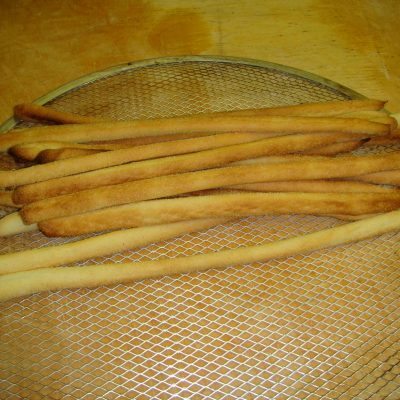 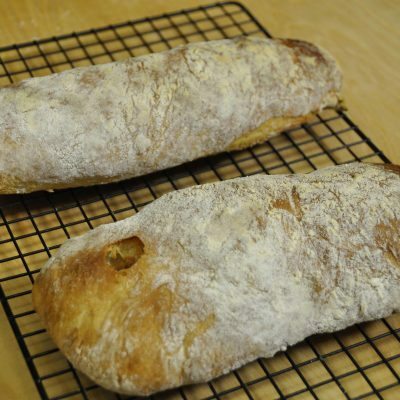 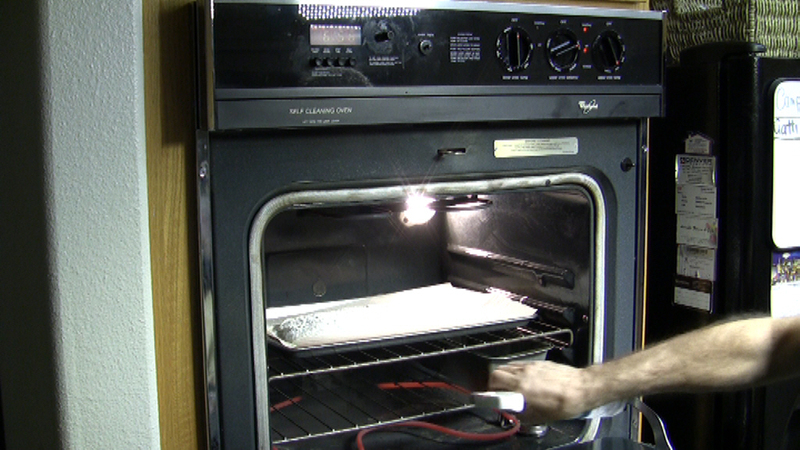 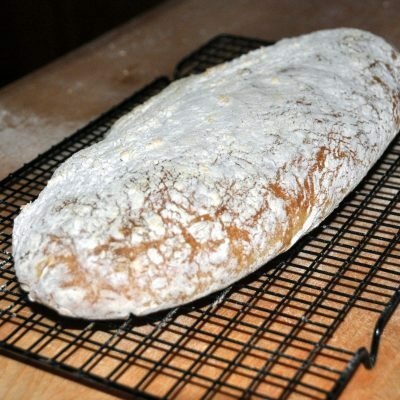 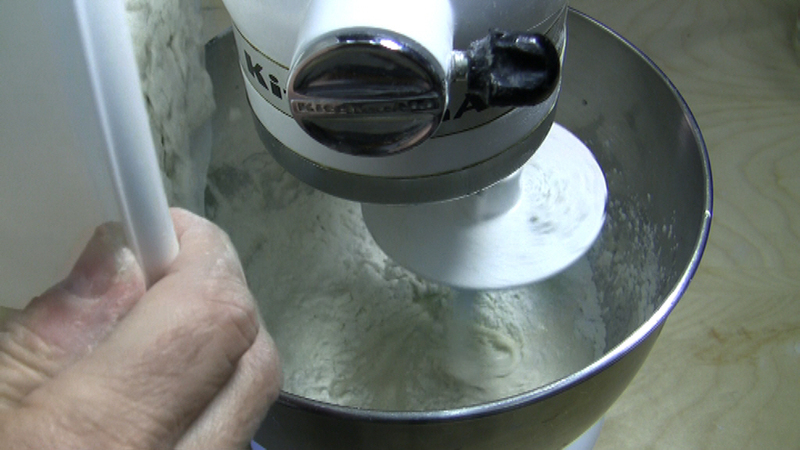 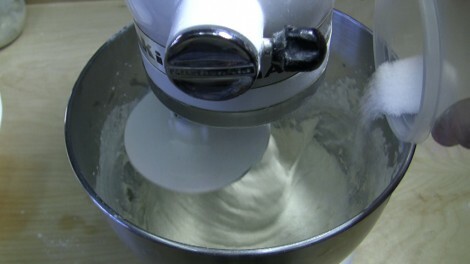 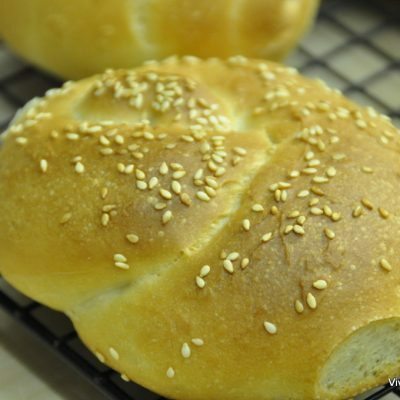 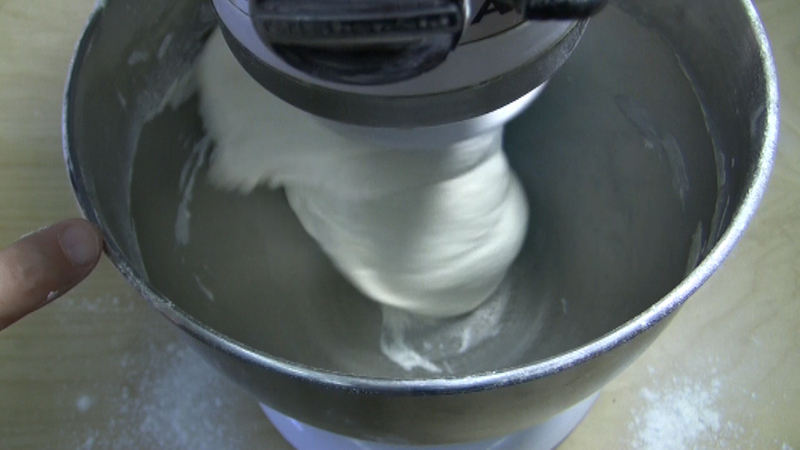 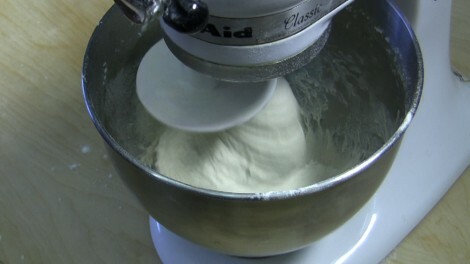 Moreover, if the surface is humid, the heat will penetrate deeper and the dough will bake better. 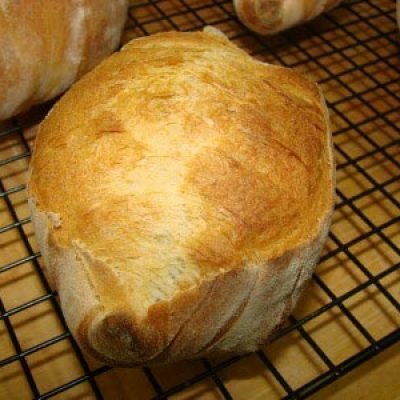 Bake for 10 minutes, then lower the temperature to 210-220°C and continue baking for 20-30 minutes, depending on the size of your loaf. 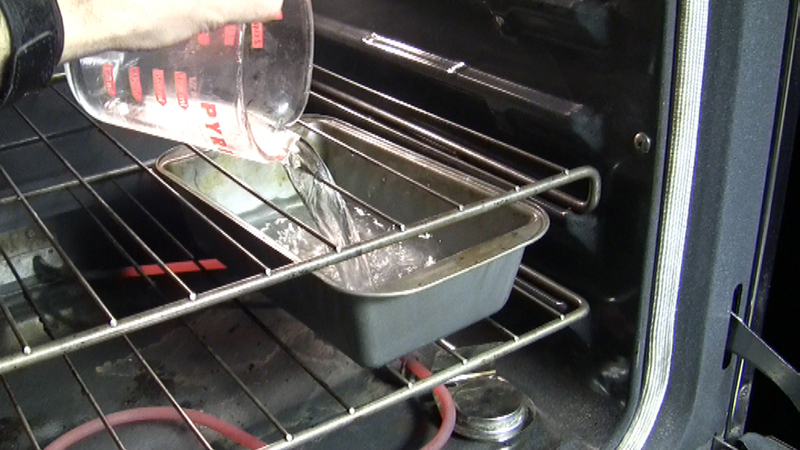 After 20 minutes I remove the pot of water to let the crust form. 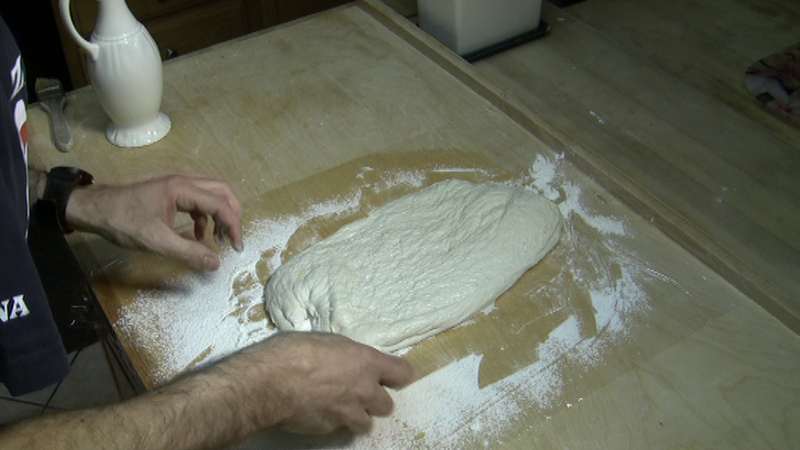 The sooner you remove the pot, the thicker your crust will be.